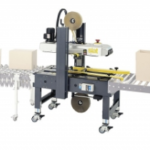 CDA’s manually-adjusted semi-automatic case sealer machine (with self-adjusting side bracket) is outfitted with feeding and reception conveyors. Integrated with a dual drive system (top and bottom). 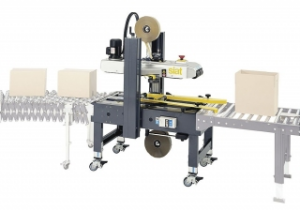 CDA provide semi-automatic case sealing machine which is suited for CDA automatic and semi-automatic filling and labeling machines.